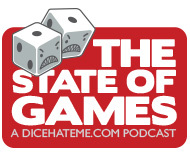 Dice Hate Me and Go Forth and Game have joined forces to bring you some of the best gaming interviews on the web! That’s right, from time to time here on Dice Hate Me, Tom Gurganus will contribute one of his comprehensive conversations. In this interview, Tom talks with John Moller, head of Cartrunk Entertainment and founder of Unpub – the Unpublished Games Festival! Enjoy the interview and be sure to let us know if there are other designers, artists or gaming insiders that you would like to know more about! Tom Gurganus: I am very excited to have John Moller as my guest this time. 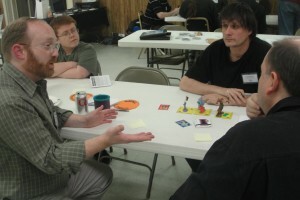 John is the founder of Unpub, an organization that assists game designers get their games into a publishable form through playtesting, connecting people, and advice. Unpub.net is a network is game designers, publishers, players, retailers and artists working towards the creation of new and unique table top games that will keep people entertained for generations to come! Tom: So John, tell us about John Moller. John Moller: I’m a guy who likes games. I do other things, of course, but they’re not all that relevant. My standard answer is that I do different things for different people. I’m a lighting designer who specializes in theatre and concerts, I’m a voting machine technician for my county, and sometimes I’m a welder. …But none of that is important. For me they’re impediments to getting down to games. Tom: You have a varied palette of skills. John: I play as often as I can. When I can’t, I talk about games or I write about games. If I’m not doing one of those three things, I’m probably working. Tom: What game got you hooked on gaming? John: That’s a complicated question. I have a LOT of memories of games and playing games, but I don’t remember being a game player. My brothers are like 10 years older than me, so I have early memories of trying Dungeons and Dragons, experimenting with Shogun (now called Ikusa) and playing lots of mass market games like Uno, Monopoly and branded board games for things I loved. I remember playing games with my Grandmother including Tiddly Winks and Uncle Wiggly. There was an older lady, Mrs. James, down the street who I would go play card games with some afternoons. I look back and games were always there….somewhere, but maybe not in the forefront. …until high school when I got into CCGs. I started with Star Trek and tried Star Wars…and then fell into Magic: The Gathering. That put us in the way of seeing other games and finally experimenting. I think my first “real game” was Carcassonne, but the true revelation came with Reiner Knizia’s Lord of the Rings. My inspiration for design came from James Ernest’s Cheapass games line in the early 2000s. It’s been a snowball since then. Tom: Lord of the Rings. You must have played that with Darrell. He mentioned it as his first ‘real’ game. Uncle Wiggly holds a special place in my heart too. And my grandmother and her friends were card players so I learned a few card games early, Catch The Five in particular. Cheapass has inspired me too. It’s good model for getting games out there. I wonder why it hasn’t worked for anyone else. Now let’s talk about Unpub. What is it and where did the idea come from? John: Unpub is short for unpublished games. We are a growing network of designers, players, retailers, publishers and artists. It started out as a single event ( The Unpublished Games Festival) which we’ve run for the last two years, and has grown over the last year into an participant run organization that has held more than 15 events around the country. We are focused on supporting unpublished games primarily by helping them get played, gain feedback and get better. We do that by holding different events like the Unpub, Unpub Minis (held at game shops) ProtoZones (held at conventions) and through our growing play-test at home program. We’re looking at adding other programs in the future. Where did the idea start?…Well, that’s kind of a long story. It started with the Regional Rio Grande Game Design Contest in October 2010 that was held at the Congress of Gamers. The event was awesome but it was a contest. I loved the interactions, the friendships, and the feedback that weekend created and I thought: “there has to be a way to make this happen again.” So, I said “what made that event work for me?” and created the first Unpub. It was basically people getting together specifically for TC Petty III, one of the cogs that keeps Unpub going play-testing prototypes. I hadn’t heard about Proto-Spiel or Metatopia at that point, so I thought I was creating something new. It was a great event and we decided to do it again the next year. It got bigger…and then… well, we decided to take the act on the road. Now we’re heading towards our 3rd Unpub (January 19 and 20th) and it promises to be the biggest one yet. We’ve already got some big guns coming to the show this year like Compounded by Darrell Louder (with publisher Dice Hate Me Games,) and the awesome economic game East India Company by Paul Owen which has yet to find a publisher. That’s just two… of what is now more than 40 games that are appearing at Unpub 3 and the list grows every day. Tom: The ‘getting people together to play-test’ is a key to good game development. I think it is an awesome and sorely needed service. It seems that you’ve touched a nerve. I for one am very glad of it. I think it is a fantastic idea. I saw first hand how valuable it can be at The Escapist Expo. How many games have been ‘unpubbed’? John: That’s a complicated question. We’ve done a lot different things over the past year from show up and play events, to actual registered events, to simply listing prototypes that are going to be at events (which was a big hit at GenCon and actually helped at least one game find a publisher.) All told, in the past year Unpub has probably had contact with around 130 different games. The number we would quote as actual Unpub Games is probably around 90. To be really considered an Unpub Game, and get the full benefit of everything we provide we want the game to appear at an Unpub Event. So, after around 15 events…roughly 90 games isn’t bad. We’ve been involved at some level with about 13 different publishers as well. All of those numbers continue to grow. Tom: Ninety games! Thirteen publishers! That’s amazing. It really shows that the future of the game industry is bright. How many of the Unpub alumni are published or contracted games? John: We’ll claim about 15…but there’s a lot that goes into that number. Some of the games in the program had publishers before they got to us like Salmon Run and Pixel Lincoln, but were able to gain the benefit and the buzz of Unpub to help move them forward. Other games decided to self publish…which is tricky and I don’t recommend. 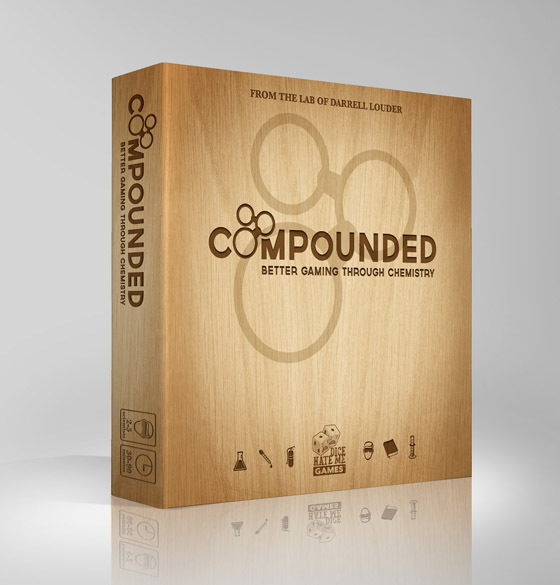 Others have used us to improve and find a publisher like Compounded. We really serve all three of those strategies. The other side is, we’ve got a group of play-testers that enjoy blind play-testing. We’ve done some work on the side for a one or two publishers connecting games they want play-tested with groups of play-testers. We’re hoping to step up those efforts again. 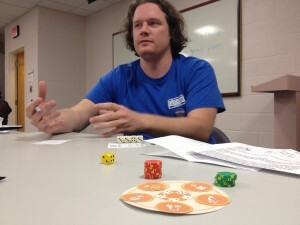 Tom: The play-testing aspect of Unpub is very intriguing. We’ll come back to that. Is Unpub working like you envisioned it? What would/will you change? TC Petty III and the Big Blue Noodle. The Noodle marks the ProtoZone. John: The great wisdom about starting any business is to go into it with a plan. That’s great wisdom and I absolutely did not follow it. So there’s very little “envisioning” that went on. When this all started I thought it was going to be one event each year. I was really okay with that. I didn’t even anticipate it being a big event. It was just a thing I wanted to do that first year and it was successful enough that there was enough interest in doing a second one. After Unpub2… there were so many voices whispering in my ear that we needed to do more. People wanted this to be more than a one time thing, and people told me they didn’t want to come to Delaware. SO, I put my thinking cap on and said, “well, how does this work?” and then we plowed forward. Strike while the iron is hot is another great piece of wisdom that I did follow. The initial concept behind the website was an open market where designers could list their games, and publishers could come and find what interested them and then take the next step. It was about making it easier for the designer, making them the draw. We started the list and the Unpub Minis. The minis became more important…so we started holding more of them and working out the details so they can proliferate. I kept hearing people talk to me about getting these things in conventions…which sounds great to me. So we went forward with an idea and got shot down pretty hard. I’m stubborn, so we still moved forward unofficially…because I truly feel that we have to offer has value and has great value at the convention level. Designers with prototypes are marginalized at most conventions. They’ve got to be their own salesman but it’s so hard to connect to the right audience. Putting all the designers with prototypes in one place is a good idea because there is safety in numbers. It let’s people who want that kind of thing find that kind of thing. If a publisher knows they can see Unpublished games at a certain place, they will go there. At Origins we had 9 different publishers in our area just about every night. Our GenCon area, made possible by Game Salute, higher numbers and more foot traffic. The big cons spawned 6 small fall conventions and some great opportunities leading into next year. But…that wasn’t on our list of things to do when we started. We’ve also been growing a small program of at home play-testing. Connecting play-testers with games…and providing print and play games that need play-testing. Bottom line? The initial concept was helping games find publishers, what we are now is a service that seems to be specializing in play-testing and promotion. That’s become our goal: to help make good games great. We do this by doing everything we can to get games played. We continue to find new avenues to do that and make new connections to help it grow. Tom: It’s really amazing how it has grown. What feedback has been most valuable? John: Every piece of feedback I’ve heard carries value. As with designing a game, you hear what they’re saying and you try and listen to what they mean. People want more opportunities and we’re working to create more. I have a good group of dedicated people who help me out but the program really thrives and will endure with the realization that’s it’s participant driven. We have the system now if someone says to me “Why don’t you have an Unpub Mini near me…?” I can say: “I will if you’ll help me…” And there’s a place to go with documentation and guides to make that happen. We can have Unpub Mini just about anywhere there are game designers and a place with space for people to play games. Apart from that, we just try to do everything we can to provide people what they need. We are always open to ideas and suggestions. …But, and this is something I do try to stress: We know what Unpub is now. We’re not having contests or starting forums to talk about game design. There are places for that (The Game Crafter and the Board Game Designer’s Forum respectively.) We are about play-testing and promotion. Getting games played and getting people talking about them. 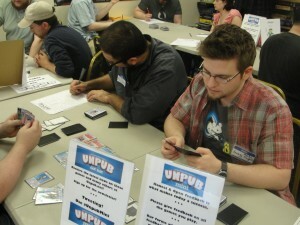 Tom: How many Unpub events are planned for 2013? John: We’re deep in the planning stages right now for a lot of events. Unpub 3, of course. January 19 and 20th we’ll have the flagship event and we’ll be announcing a lot of 2013 events then. We’ve got some big things in the works…and we’re still trying to set up more. If someone, a person or a store wants to run an Unpub Mini they should contact me. If there’s a convention that wants a Proto-Zone, they should contact me. We’re going to hit the ground running in January. So we’ve got a month (albeit a busy one) to get as many events on the books as we can. Tom: Any chance of being near Durham? John: Yes. I’ve had a few discussions and Unpub might be near or in Durham around 3 times next year. We might also be in Brazil…We’re definitely going to be in Delaware, Maryland, Pennsylvania, New Jersey, Virginia, Arizona, Michigan, Illinois, Texas, Washington D.C. and Washington State. Hopefully we’ll get to be back at some of the big cons in Ohio and Indiana as well… time will tell. Tom: Actually I knew there was one being planned. But three! Cool. Because I’ll be participating with at least one game of my own. I’d be glad to help. What are the aspects of a good player? Josh Tempkin explaining a game. John: Patience, Attention, Risk, and Malleability. You have to have patience with any new game because you don’t know what’s around the corner. It just doesn’t help to get frustrated with something until you get to the end and it’s over….then you can get frustrated with it. This is why I’m not a good player. Attention is important. I don’t care what game it is, you have to be present – be in the game, in that moment. It’s just better for everyone and it’s a more satisfying experience. Being willing to take risks, particularly in a new game, is key. You want to try everything you can to stretch the game to it’s limits. Someone else is going to try to do that, why not you? Why not now? Don’t worry about hurting a designer’s feelings, you’ll be helping them in the long run. If they don’t realize that…then you’re teaching them another valuable lesson too. Just don’t be mean about it. Malleability, the one that has people rushing to their dictionaries… is all about agenda dropping. Having a set strategy is great, but don’t be afraid to change mid stream. It’s one of my top player attributes. It doesn’t always win me the game, but I’ve had far greater experiences because of it. I guess the last piece of the puzzle is that the one thing you cannot be in order to be a good player is closed minded. Even if you don’t like “this type” of game. If you sat down to play, give it your all. I’ve had many people say they don’t like a certain type of game only to find a game the exception to the rule…and if you don’t find a game to be your exception, talk to the designer about it. …because you may find what you have to say is important to making a positive change in the game. It’s just good business. Tom: John, those are fantastic characteristics. I especially like attention. Being in the game and focused on what you are there to do with regards to play-testing is vital to be a good player/play-tester. You mentioned ‘types’ of games. We’ve had zombies, pirates, city building, deck building. What’s the next hot theme in board games? John: I think what we’re really seeing now is a push towards the vintage of classic video games. 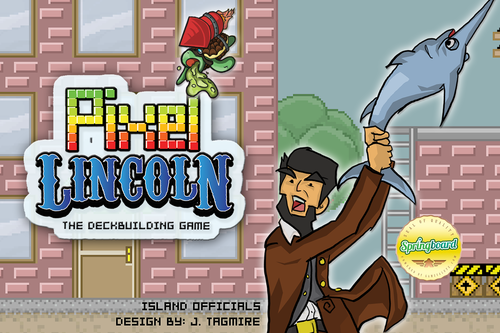 Pixel Lincoln, Boss Monster spring to mind…but I know of some other games in pipelines that carry the thematic elements of classic adventure video games. I think we’re at the front of this craze and it’s going to become bigger and then fade away. I’m not really a prognosticator of trends… We’ll never see the end of Zombie Games, which is sad because I really don’t care for zombie games.But as to what’s next? I couldn’t tell you. I see such a wide variety of games in the Unpub program…I don’t sense any real trends in what people are presenting. …I take that back. Dice. Dice games are really becoming a thing. I’m starting to see a lot of dice games in the Unpub program. 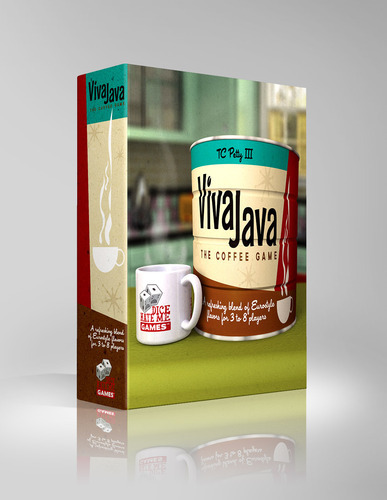 John: If we’re talking Unpub games, then it’s got to be VivaJava. When I first encountered it, I had no idea what to expect. I fell asleep listening to the rules! Then playing it, VivaJava just completely blew me away. The level of interaction in the game was so appealing. It was like a cooperative game, but not. You really had to pay attention to other players and their actions, you had to work with people (sometimes unwillingly) you really had to have an idea but be willing to alter your plan. This was a game that really hit on all cylinders for me. It’s no secret, I decided to have the first Unpub because I saw it as a chance to get to play VivaJava again. I needed to show this one to my friends. I had to have other people experience this game. It had to happen and here we are nearly two years later and people all over the world are playing it. I had nothing to do with the game, I don’t think I ever gave any feedback that helped the game… but I feel really proud of everything TC and the Dice Hate Me team has accomplished with it. Tom: VivaJava is a good game. I’m glad it’s done so well for TC, Cherilyn, and Chris. What is next for you? What else is in the queue? John: Unpub3. The event is January 19 and 20th in Delaware. We have 40 games currently registered for the event. We’ve just added two panel discussions and we’re in talks to add a third. We’re adding a video demo service to what we offer at the event and we’re going to have a few podcasters and reviewers in the mix as well as a growing number of publishers. We’re in for two huge days of play-testing and networking and I couldn’t be happier about it. I expect we’ll keep adding and changing things to make the event bigger still as we get closer! John: Unpub and Unpub3 are specifically where my head is right now, so I don’t have a lot else swimming around there to talk about. I… I think if I were to have one thing I really want people to hear and understand is that we’re a low cost/no cost program that is really driven by participants. 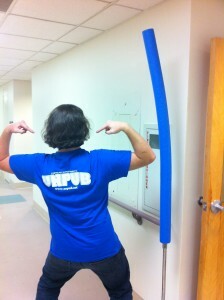 If you think “Well, Unpub isn’t near me…” Then it’s your job to contact me and get Unpub near you. I’m not Unpub. I don’t need to be there for an Unpub Mini or an Unpub ProtoZone to happen. I just need passionate people who want this idea to continue and grow and blossom. It’s something that belongs to every designer, every store…anyone who wants game designers to get their games played and their dreams met. That’s what Unpub is…and anyone can be a part of it. We seem really regional, but we’re really trying to break out. If you want us to come near you, we can…with your help. I want people to hear that and know it. That’s…our thing. It’s not a program about us, it’s about everyone who can use it and benefit from it. John: My email is john@cartrunk.net, and I’m on twitter @cartrunkent. If people want to know more they should definitely visit Unpub.net.